Decorative bollard post covers are better-looking plastic covers (sleeves) that fit over your existing posts. They add color, design, and interest. They are made of the same tough 1/4" Thermoplastic as the standard post sleeves. There are many decorative bollard post sleeve styles in 6" to 10" sizes. 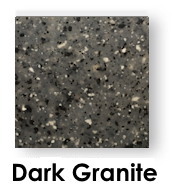 There are 10 standard colors, and 2 premium (light and dark granite). All can be ordered in just about any color at extra cost. Call us for an estimate. Your words, pictures and logos can be also be imbedded in the plastic for an additional charge. So if you’d like bollard covers that are more interesting, or are more pleasing to the eye, consider the decorative post sleeves we have available. If you don’t see what you are looking for, contact us today at (877) 392-5766. A real person will answer your call and any questions, and will also provide suggestions on what might work best for you. These are the standard colors. 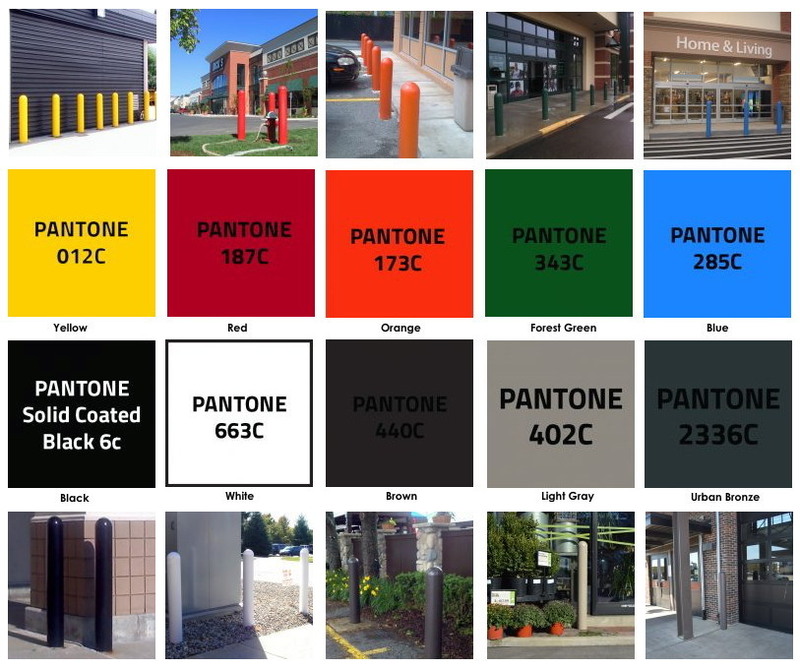 You can view larger images of these colors on dome top covers in this Slide Show for Dome Top, Decorative and Lighted Bollard Covers. 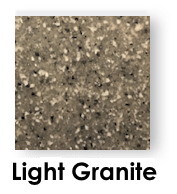 We also have premium colors in dark granite and light granite which add texture and interest at an additional cost of $35.00 ea.